Fleet, Tyburn, Effra, Westbourne... you may well be familiar with the lost rivers of London, thanks to a recent surge in books, novels, articles and films inspired by the waterways. One aspect that's often forgotten is just how influential these rivers have been on London place names. 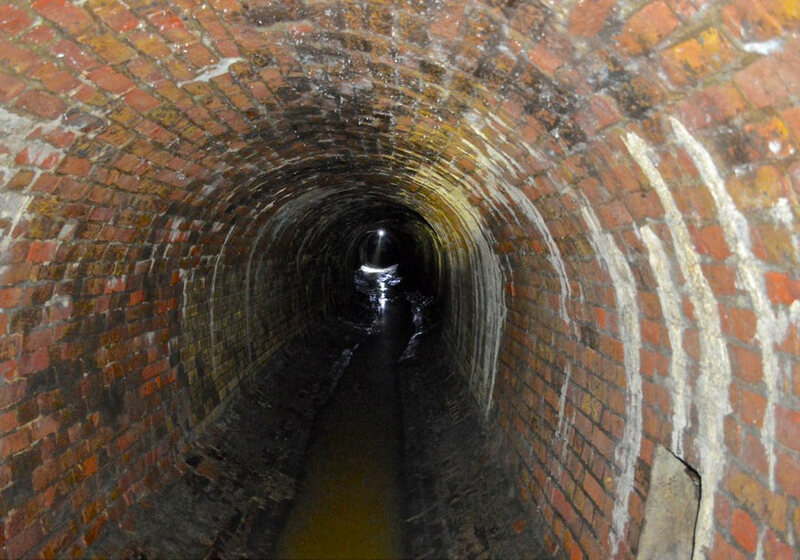 Although most of the rivers are now buried as sewers, their memory survives above ground on our street signs and district names. Some are obvious: Fleet Street, Walbrook, Effra Road, Bayswater, Stamford Brook. Others less so. Did you know that Peckham gets its name from the River Peck, or that Deptford was once a deep ford over the Ravensbourne? The River Fleet as it looked last time we were down there. Marylebone started life as St Mary by the bourne (a bourne being a watercourse, in this case the Tyburn). Holborn has a similar etymology, located beside a tributary of the Fleet. 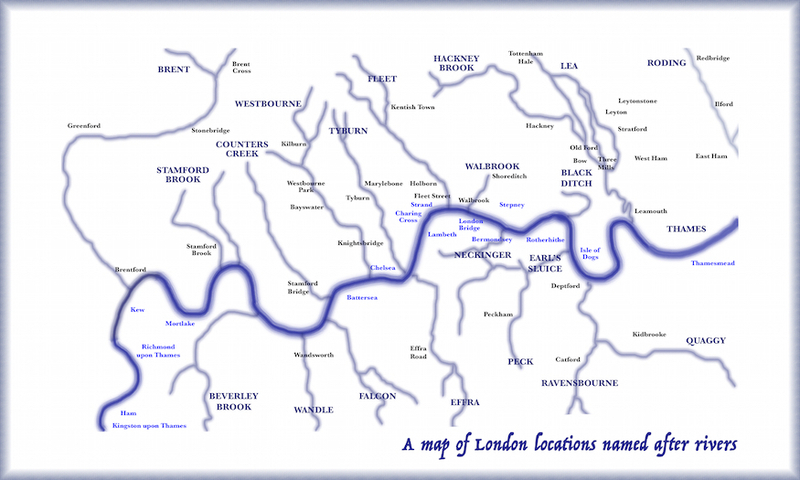 We've mapped any London location that traces its name back to a local river. Some are a bit secondary. East Ham and West Ham, for example, get their names from a hamm, which was an area of land between rivers (Lea, Thames, Roding). Bow and Knightsbridge both stem from bridges over rivers. Others are more direct. Westbourne Park takes its name from the river Westbourne; Wandsworth from the Wandle. Names in light blue represent Thames-side areas, while black text indicates names derived from tributaries of the Thames. We haven't included street names such as Anglers Lane in Kentish Town, other than major routes like Fleet Street and Strand. Please do suggest additions in the comments below.